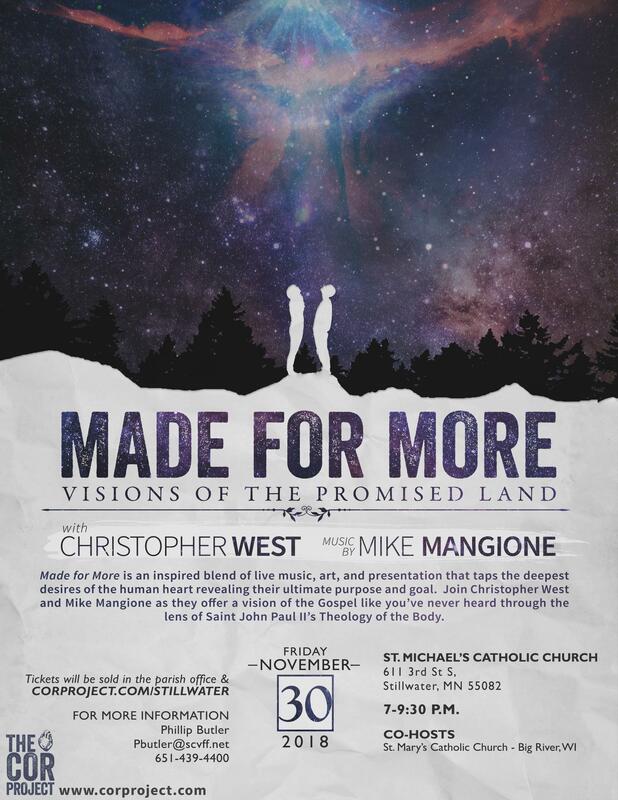 This event will sell out, so grab your tickets NOW in the St. Michael's parish office or online at corproject.com/stillwater. Tickets are $20. This event is appropriate for ages 15 and up. Please contact P.J. Butler at 651-379-1272 if you would like more information.